Cashmere. Silk. Cotton. Enough said. 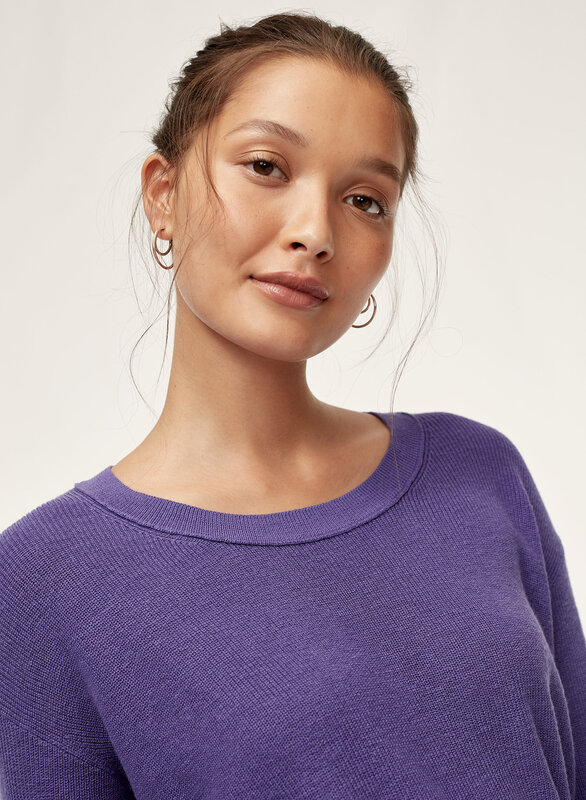 Cashmere, silk and cotton all feel great next to your skin — so we brought them together in this ultra-soft crewneck. A half-cardigan stitch brings touchable texture. Can be dressed up or down - I got the dark purple one and have paired it with jeans and pleather pant. Both very amazing looks. Material is a tad thin. Runs a little big. Very flattering and comfortable to wear. The material is finely knit. Loved the feel and look of this sweater initially but it bags out so much. I got the smallest size they have and it’s still baggy. It washes well though. I love this sweater! It goes well with jeans, skirts and can’t wait to wear it come spring! Love the 3/4 length sleeves, just what I wanted! Stretches out a tad more than I would like though and I’m scared the knit is going to catch on something. Love the sweater. Great color & fit. Please note that "cider gold" colour is more of a dull rust colour. I wasn't really impressed with the colour, though I still like this sweater (I also own it in black). They didn't have the red colour when I ordered. Absolutely love this sweater. I like the length and the weight of the yarn/knit. 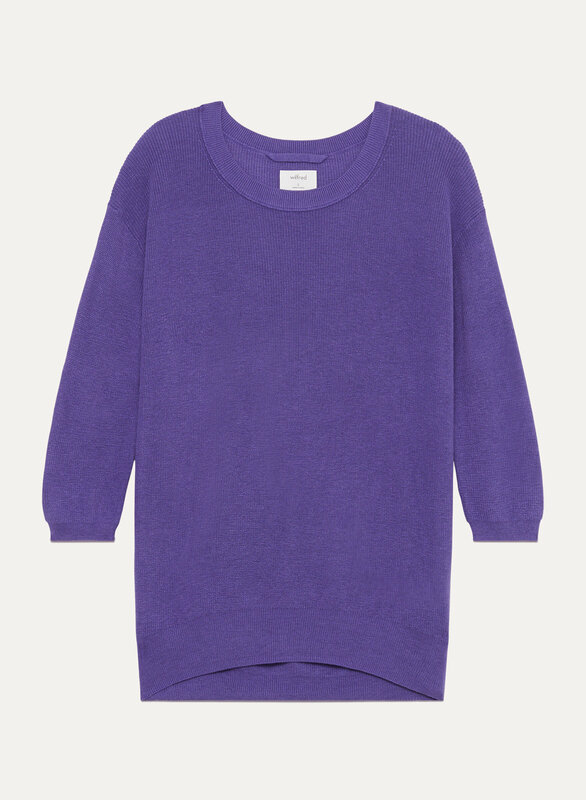 Love this sweater so much I bought it in three colours! Fits a little loose. I’m usually an XS but got these in an XXS. Works for both casual and can be dressed up. Would highly recommended. I've been buying this sweater in different colours for years and I absolutely love it. The newer versions pill more quickly, but it's still soft and warm, perfect for work and everything else. Warm without being bulky, and I never overheat in it. I'll keep buying it until the day they stop production. Very happy, bought it in two colours! I own 4 of these! Best fit, so comfy and great quality. They also wash well. Great sweater very lightweight. Good for layering. 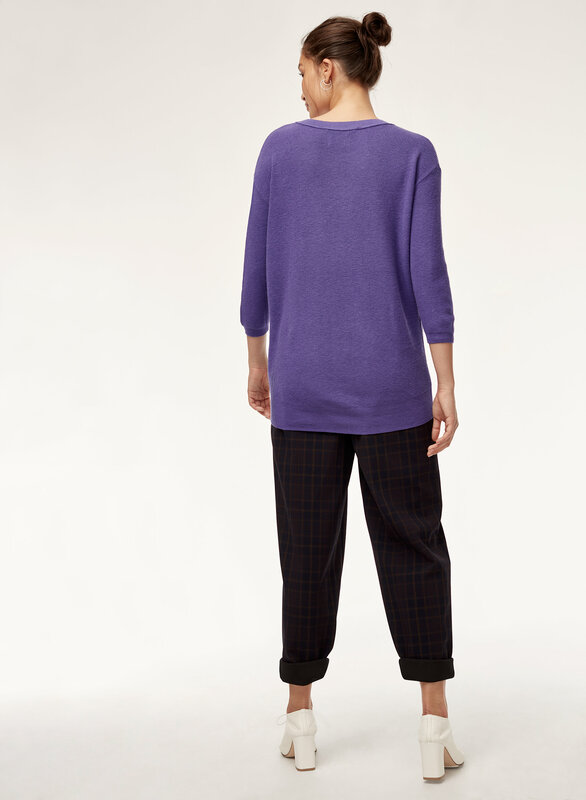 I love this sweater because the trend right now is towards a cropped/shorter cut which leaves us tall ladies hung out to dry. This is longer in the back and flattering in the front. It's very drapey and oversized, so I do find that it is true-to-size based on the intended fit. If that's not your thing, you could definitely size down, I suppose. 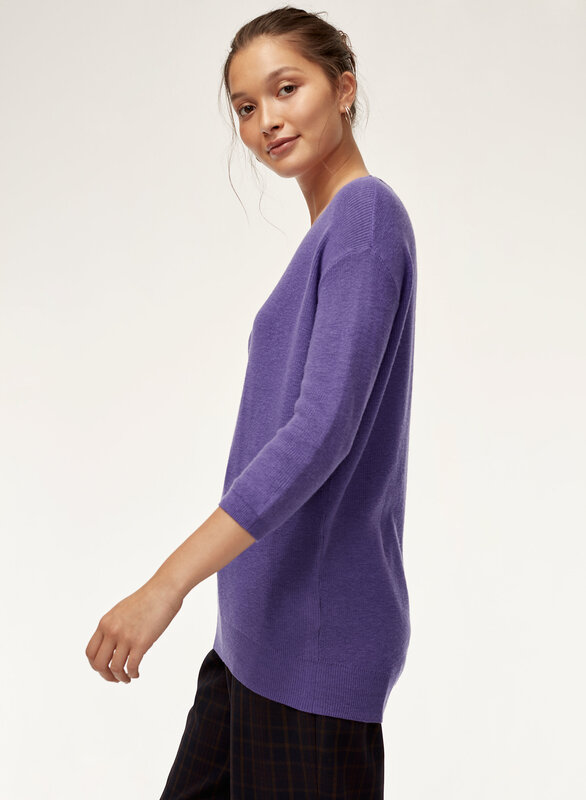 I love the fit, comfort and colour of this sweater (I purchased the cider gold and the timberline). The only reason I didn’t give it 5 stars is because I am finding the fabric starts to pill after a few wears. Soft fabric, nice and light. Pills a little with wearing. Also has stretched out a bit since washing. Love! Ordered in 2 colors because I wear to work but also awesome for being comfy at home. One of my favs! This piece does not meet my expectations. I got my usual size of small and it’s just shapeless and unflattering. The material doesn’t feel like it’s justified in the price. Disappointed. Love it, but I would recommend buying a size down from what you normally wear- runs large.